Even a small lock or key problem can spread panic. 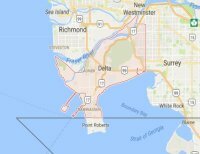 Avoid security issues by calling our company every time you are in need of a 24/7 locksmith in Delta, British Columbia. By being around at all times, we can help you with your troubles night and day. You will no longer have to worry about doors not opening, missing keys, or burglaries. Nothing of the above is good. But they can all be handled in the most effective and urgent manner by dialing our number. So, do keep our contact info and call us whenever you need emergency 24 hour locksmith service in Delta. The point of having a 24 hour locksmith on speed dial is to cope with sudden lock and key troubles right away. The goal is to keep your properties protected from potential burglaries. But let us assure you that our company will help you fast whenever you are in need of break-in repairs too. If someone breaks in, the lock is most likely broken. It’s frightening but try to keep calm and just call us. A pro will be there in minutes for the lock change. Did you just realize that your keys have been stolen? Call us on the spot. In these occasions, the job of the 24/7 locksmith is not to replace the key. When the keys of your property are either stolen or lost, it’s not prudent to simply replace them. Yes, you will have a duplicate of your original key in your pocket but a stranger will have the original key too. To protect you from such risks, the pros come for lock rekey. Seeking an expert in car lockout services? No need to worry for long when you experience lockouts. 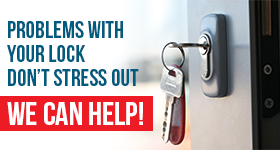 Whether you are locked out of your car, home, or office, a pro is quickly sent your way. With expertise in all locking systems, the pros can properly unlock all doors but can also extract broken keys, fix locks, program car keys, and take care of any issue. 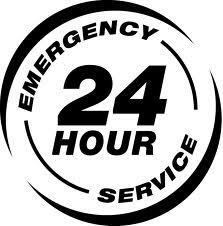 Whenever you need auto, office, or house lockout service, just call us 24/7. We send an emergency locksmith whenever you are dealing with security problems. Whether your security is already compromised or not, the response is quick and the job is done in an impeccable way. The intention of Locksmith Delta is to resolve the current problem and prevent worse nightmares. So, do keep the number of our company and don’t hesitate to give us a call when you are in need of Delta 24/7 locksmith services.